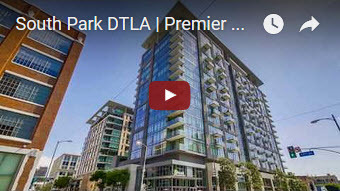 South Park Downtown LA is one of the most desirable areas to live with Price gain year to year in most buildings. 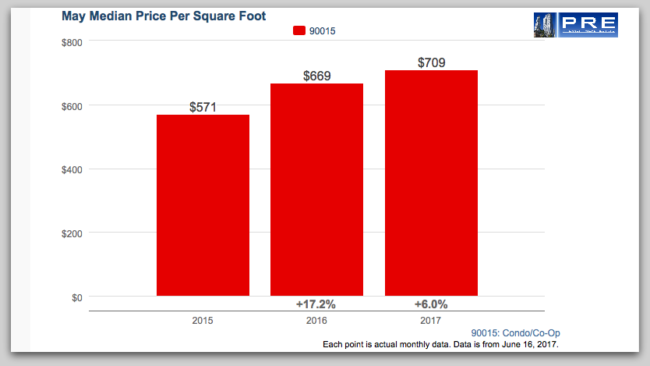 As referenced in the chart below, the median price per square foot increase of over 17% as of May 2016, and 6% as of May 2017. Despite the high inventory from new development, prices are holding well in most buildings due to high demand for the area. Some buildings have minimal price dip due to units facing the new development construction sold at a discount. We are expecting an upward price correction in these buildings next year after the new development completed. As of May, 2017-The highest-priced building in Downtown LA is The Ritz-Carlton. $1,065,0000 is the Average price for 1,000 SF condo at Ritz-Carlton. The least expensive building to buy is The Flower Street Loft. $471,000 is the Average price for 1,000 SF loft. As of May 2017-Price remain steady in most buildings of South Park with very minimal price changes in some building. EVO had the biggest price dip year to date due to units facing new construction sold at a discount. Year to Year, Market Lofts has the highest price gain of 15%, and LUMA has the highest price correction of 8% due to high inventory from new developments in the immediate area.